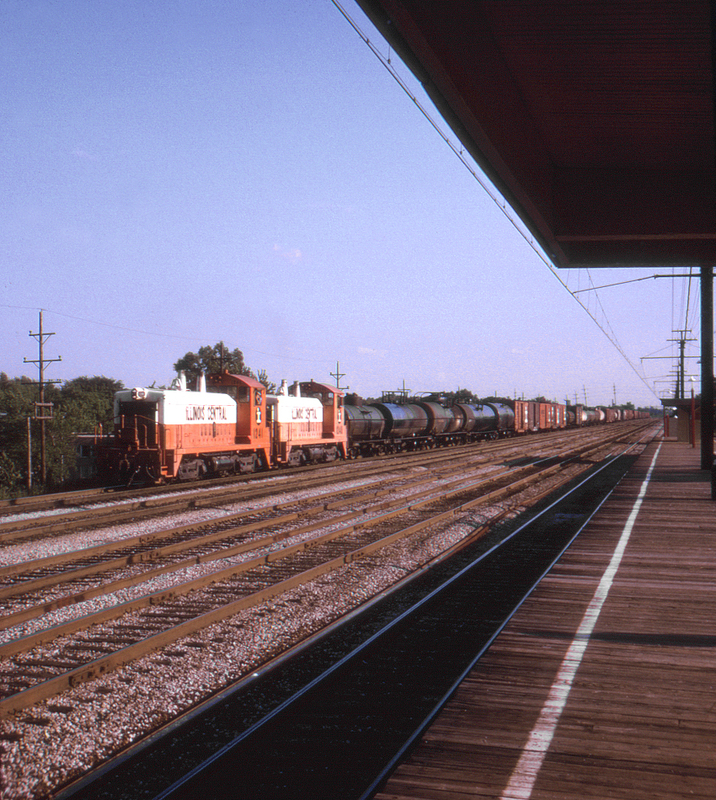 Here two IC switchers head north past the Illinois Central's Riverdale, Illinois suburban station with a long transfer run. This page posted 3/1/2018; revised 11/1/2018. Text and photo ©2018 Lamont Downs.